It can, and usually does, happen without you even knowing it. You smile a big smile in the mirror and you notice something – your teeth seem ever so slightly taller or longer than they used to be. You have receding gums. Receding gums is a condition in which the gum tissue around the teeth pulls back or is worn away, exposing more of the teeth and their roots. It can be serious problem especially with heavy recession as the gaps that can form between the teeth can allow bacteria to build up and can even result in severe damage to teeth and the surrounding bone if left untreated. In order to understand what you’re dealing with there are some things you should know about receding gums. Gum disease is the largest cause of receding gums – the bacteria destroys tissue around the teeth and attacks the supporting bone structure as well. Hard or incorrect tooth brushing can cause the enamel on your teeth to wear away and your gums to recede. Inadequate brushing can also make it easy for tartar to build up which itself can lead to issues with receding gums. Additional contributing factors include hormonal changes, heredity, smoking, and grinding your teeth. 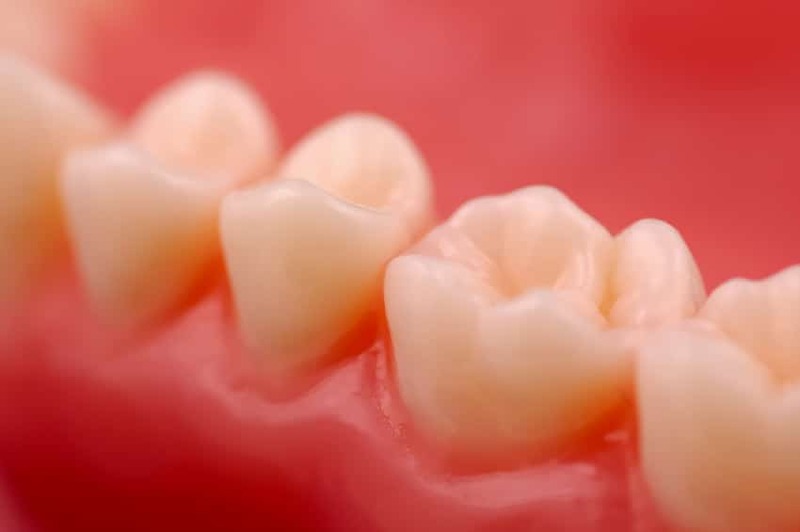 If receding gums become enough of an issue that treatment becomes necessary mild or moderate recession can be treated by deep cleaning and potentially antibiotics. If the recession has progressed into becoming severe it may require dental (periodontal) surgery to treat. Preventing gum recession can be as easy as taking good care in maintaining dental hygiene. Brush and floss every day and see your dentist at least twice a year. Always use a soft bristled toothbrush and follow the correct instructions on how to use it. If receding is caused by grinding or crooked teeth you should get the issue corrected by your dentist as soon as possible. Make sure to keep an eye on your gums if you sense a problem and see your dentist if you’re worried. Taking care of your gums isn’t too difficult but if you are noticing an additional sensitivity or you’re worried about your dental care in general contact us at Pickering Square Dental today.